Mihriban Ersin is the COO and co-founder of Colendi, a blockchain fintech startup helping to create better financial inclusion opportunities for the un/underbanked, and empower the developing world. As a widely-regarded and requested speaker and story resource, Mihriban offers the perspective of a successful woman in technology and business, particularly in a male-dominated field like blockchain. She can speak to the complex political and economic climate of Turkey, as well as the global challenge and opportunity of reducing the un- and underbanked population. She believes that defining a person according to their financial history is an unfair and antiquated method of creditworthiness, and that those of us who go through a hard time deserve a second chance. In response, she co-founded a company that calculates credit scores for people who would otherwise be considered credit “unscorable.” She is an advocate for women, women in tech, underserved populations, and broader social good. As one of the few women to hold a C-level position in the blockchain industry, Mihriban is an advocate for women in technology. One of her first ventures includes founding Kadingozu, a startup created to support women in business. 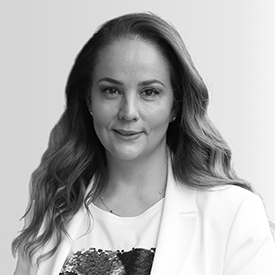 Mihriban’s passion for creating opportunities for minorities, and prominence in the Turkish financial industry, is one of her motivators as a leader of Colendi. After graduating from Istanbul University, Mihriban started her career as a project manager for the European Union and European Commission, catapulting her along the path of entrepreneur in the fintech space. She co-founded Ininal, the first and biggest e-money company in Turkey that has reached 1 million active users in less than half a decade. Mihriban’s vast experience, having managed civil projects through entities like the EU and as a fintech entrepreneur, help her stand out from the crowd. Mihriban has built her career on developing solutions to some of the most complicated financial problems, both in Turkey and around the world. She understands the challenges of the billions of un/underbanked people around the world through years of experience with the UN Development Program, and as founder and editor of FintechTime, the leading fintech magazine in Turkey, she has created a medium through which to share the stories and issues that impact this population. Recently, Mihriban was named one of the 35 “Senior Leaders” in Women in Fintech PowerList of 2018 of Innovate Finance. This was a second honor she received in 2018. Last year, Mihriban was also selected Entrepreneur Magazine as one of most influential women in blockchain, recent profile/Q&A for Authority Magazine, and advice in a recent Buzzfeed article. Mihriban is an active figure in international conferences and meetups. In only 2018, she was invited to numerous organizations where she has been on stage, sharing her experience, vision and wisdom in various subjects. Some of the events she was on stage in 2018 are blockchain center tech & invest summit in New York, Blockchain Venture Summit in Istanbul. In the first half of 2019, she appeared on stage at SXSW event in Austin/Texas, she is expected to appear on Seamless Middle East in Dubai, Consensus in New York.